It's rare that a Sunday morning would see me showered and capable of anything other than a bacon sandwich and some horizontal t.v activity. If I was to be honest and pathetically sad, xfactor on a Saturday night has changed my normal Saturday night routine. I become all about the pyjamas, heating, maybe some butter chicken marsala and definitely a glass of red. The rushing home from work for a quick shower whilst multi-tasking a drink, my make-up, a call to my local taxi company and possibly 3 changes of clothes before settling on the original and getting a lift with an aggravated taxi driver who has been waiting and then waiting. 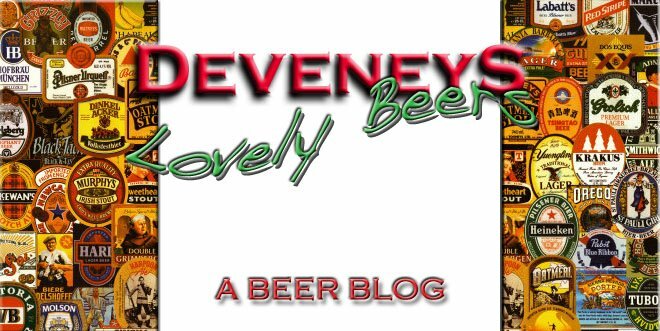 I also find myself well enough to not only do a post but taste a beer and do a post simultaneously. 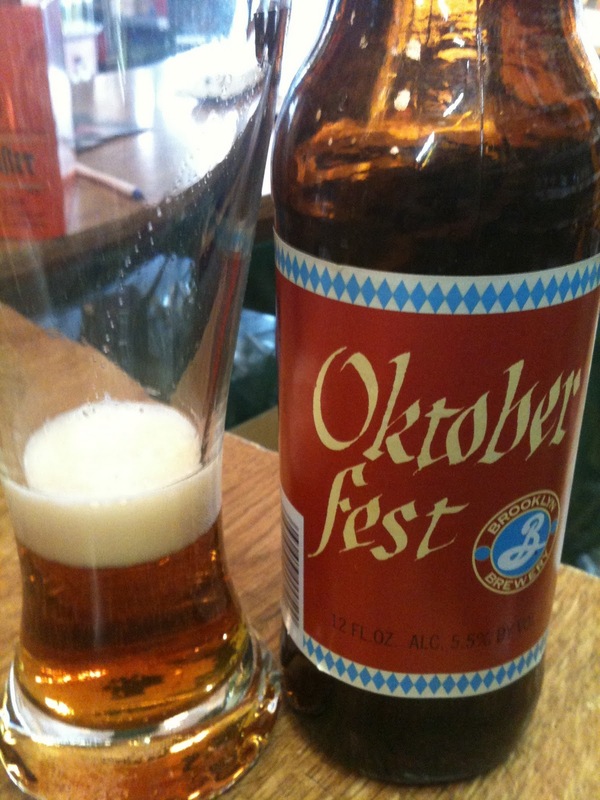 Brooklyn Oktoberfest arrived in on Friday. This is a 5.5% seasonal addition to the Brooklyn range. It pours a caramel colour with a Guinness head. It looks really carbonated with lots of fine bubbles in the glass. I can't decide if the nose is appealing. Initially it's caramel, sweet fruit and almond but this turns into what you'd expect your back garden to smell like after a landscaper has been digging around in the rockery. It smells like ''Atlantic Homecare'' out where they grow the tomatoes, a hot soil smell. The palate, thankfully doesn't display the outdoor flavours. I get ripe cherries, malt and only slightly carbonated. A really creamy palate with a hopped finish. Of all the Oktoberfest beers I've sampled over the last couple of weeks it's the most unusual style and unlike any of the others available. Oktoberfest to me is all about a beer that's light enough to consume vast quantities but has substance to it. Subtle flavours that are balanced and easy to neck. Brooklyn, although interesting I wouldn't be downing 5 steins with a leg of ham.